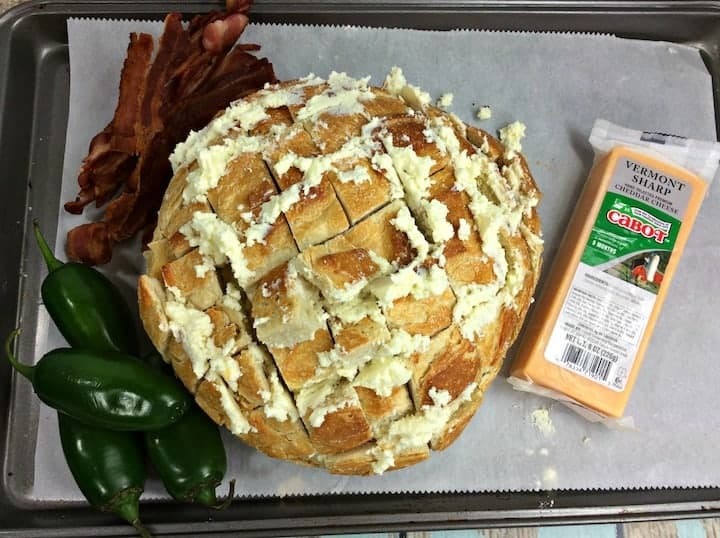 Cheesy Pull Apart Bread that is stuffed with butter, garlic, bacon, jalapeno and of course cheese! This decadent side dish doubles as an amazing appetizer. The perfect appetizer to bring to a dinner party, holiday dinner or even gameday food (can anyone say Super Bowl party!). I would seriously give up dinner and just eat the appetizers! 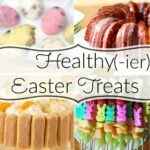 We are always looking for new ideas to bring to parties and some favorites include our Sheetpan Nachos, Crockpot Nacho Dip, Baked Crab Dip and Mozzarella Stuffed Meatballs! Do you see a theme with our favorite appetizers? They all include cheese. 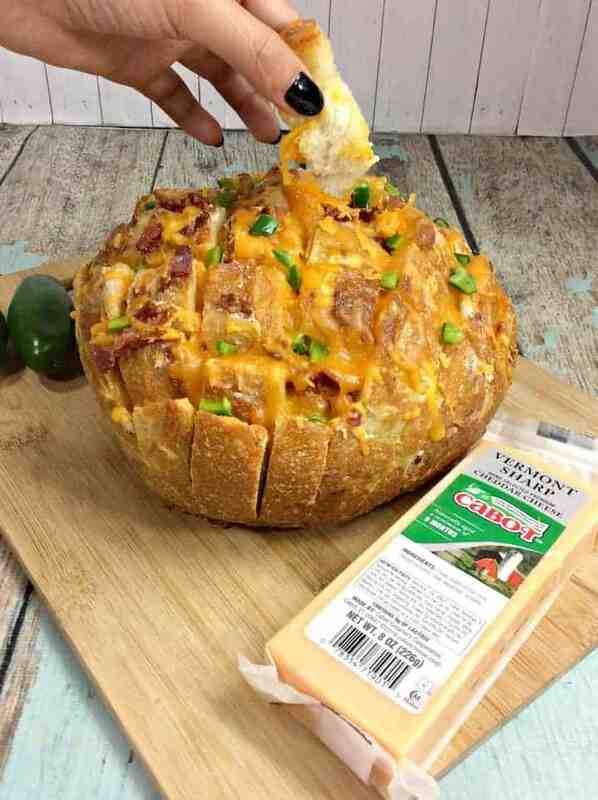 Not only am I a huge appetizer fan, but I am a totally cheese obsessed. So, when Cabot Cheese invited me to come to visit Vermont to learn about their co-op, they could barely finish their sentence – I was IN! 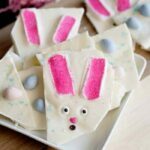 This post is sponsored by Cabot Cheese and Vermont Tourism, but the recipe and opinions are 100% my own! I don’t know a lot about cheese, but I do know that I love it. This is why I found my time that I spent with Cabot so interesting. I had no clue all that went into making such wonderful products. Cabot is a co-operative owned by more than 1,000 families throughout New England and New York. 100% of their profits go back directly to the farmers! 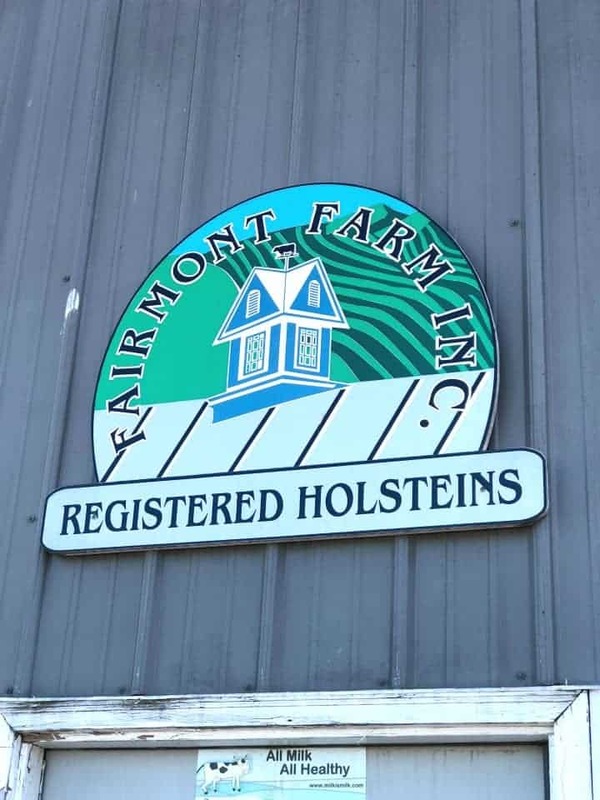 We had the opportunity to visit one of the farms when we were in Vermont, Fairmont Farm. It was really amazing what goes on there. First of all, the cows were the cutest things ever. 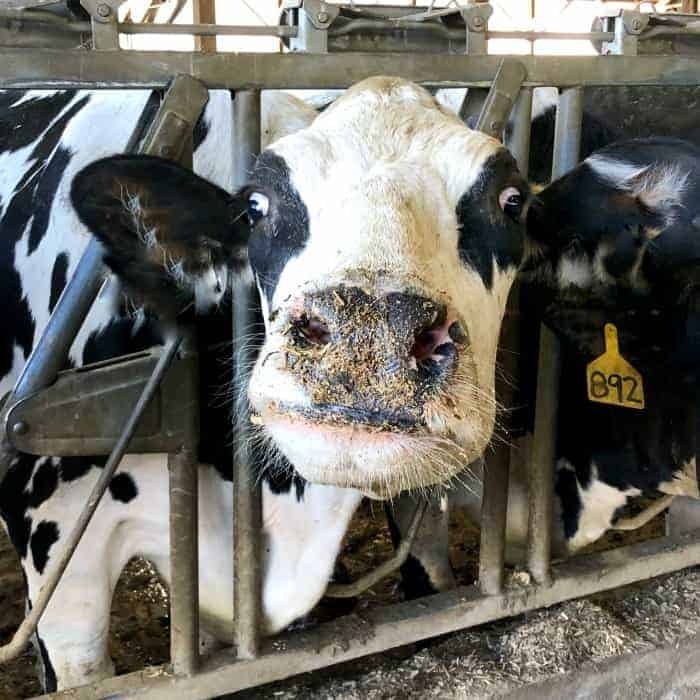 I had no idea all that was involved in a dairy farm, but it is a 24/7 operation and wow, was it impressive! We also visited the Cabot Farmers’ Store in Waterbury, Vermont. We had so much fun there! They had more than 30 varieties of cheese that we got to sample along with other amazing specialty products and Vermont goodies. If you are visiting the area, be sure to stop by there! 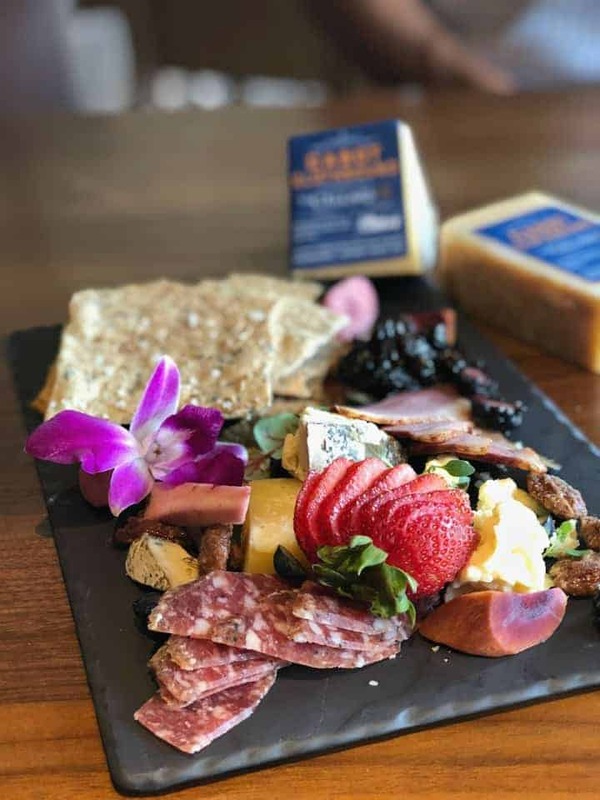 We also had the chance to sit with Cabot’s own Chef Jimmy Kennedy and have our own private cheese tasting, while learning more about the company. I had no idea that all Cabot Cheddars are 100% naturally lactose-free and gluten-free. I also didn’t realize all of the other products Cabot’s has. In addition to their full line of cheeses, they make an amazing Greek yogurt, sour cream, cottage cheese, butter and whey protein. You can bet now that I have seen how Cabot Cheese is made, and after tasting the unbelievable quality, Cabot Cheese will be my go-to when creating new recipes! Speaking of which, when we were sitting with Chef Jimmy, I was asking him about a new cheesy pull apart bread I wanted to make and we discussed what would be the best cheese to use for the recipe. 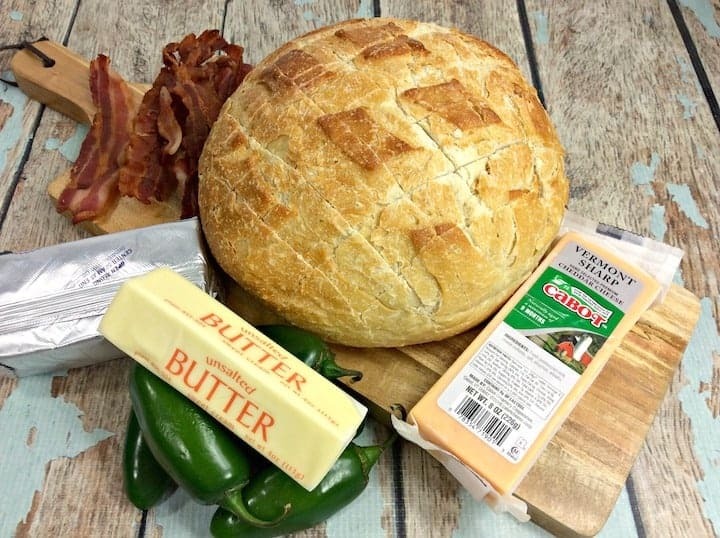 He recommended Cabot’s sharp cheddar, so that is precisely what I used for my new Cheesy Pull Apart Bread with garlic, bacon, and jalapeno! Want to see more about my amazing trip to Vermont and all there is to do there? Check out The Best things to do in Vermont Guide here! 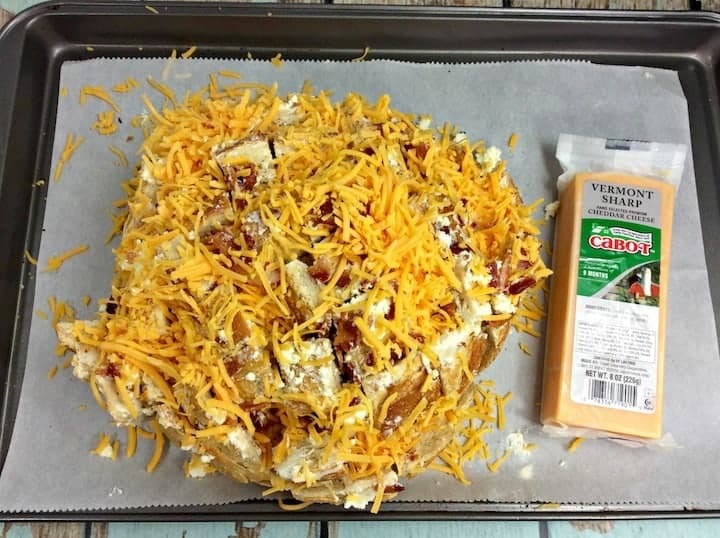 Everything Bagel Cheese – yes, that is actually a cheese and it was freaking amazing! According to Cabot, the difference between mild cheddar and sharp cheddar is the aging time. The longer cheese is aged naturally, the sharper and more pronounced the Cheddar flavor becomes. Mild Cheddar cheese is aged for about 2 to 3 months, while an extra sharp might be aged a year. The sharpest Cheddar cheeses, such as Cabot Private Stock, are aged between 16 months and two or more years! 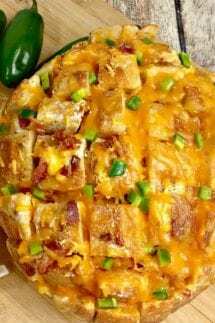 What is great about this recipe is that you can go with the base recipe and add in the optional bacon and jalapeno, to shake things up a bit, or leave out the bacon and jalapeno if you want to tone it down a bit. 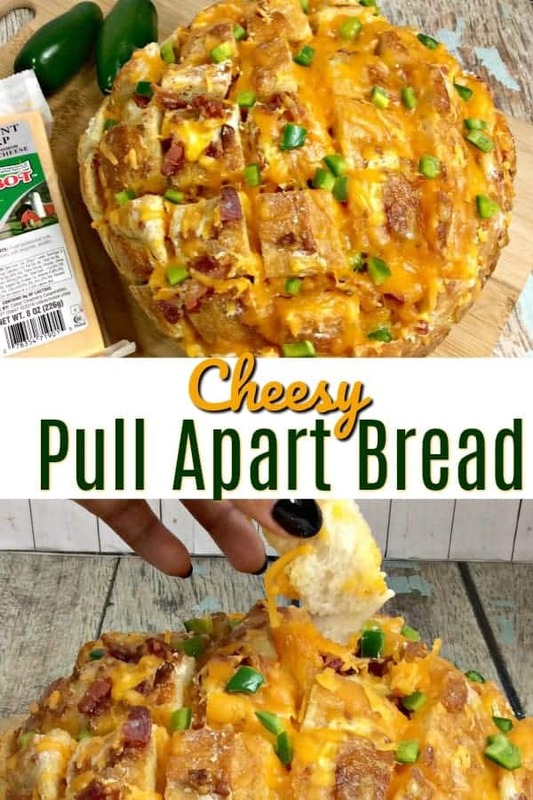 Either way, this pull apart bread is about to become a new staple in your house!